In forex trading, watching the market for entrance and exit points is the brunt of your work. Traditionally, you monitor the progress of currencies by feed reports. Either by watching the news or guarding the numbers in your laptop. Here lies the problem- who would want to spend the rest of their day plastered to their laptops? Forex trading seems to be a perfect business ground for everyone: opportunities are near equal, and you could trade anytime, anywhere provided you have internet access. The answer to this is to get a service that provides forex signals. Simply put, forex signal services are paid subscription services where they monitor and interpret the market to your liking. Your set of specifications, what to watch out for and when to alert you. They send you results by email, or directly to your phone. 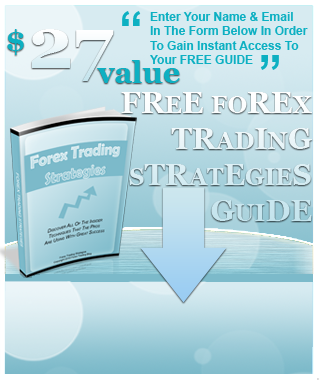 Forex signal services are very popular nowadays. You may even refer to it as an indispensable tool for any trader. Brokers even provide their own unique platform that will cater your information requirements. When you sign in with them for an account, they give you this service with a fee or even free. What usually happens is that they give you signals for known or popular currency pairs. For instance, you may be intent in watching the changes in Euros and American dollars, Japanese Yen and Singaporean dollars. If requested on your account, they can provide you with signals on less known pairs. Whatever your strategy and currency trade is, they can fit their services for your needs. Well, forex signal companies use computerized systems to monitor pairs and make some analysis for their subscribers. Understand that they do not make decisions for their subscribers mind you; they are just signals, tools to help you make a decision. Once you make a decision right away, your broker and software can even do the trade right away. However, there is a catch: they are not a hundred percent accurate. They only provide leanings or advice on what decisions traders should make. The best signal service companies have good track records of providing great recommendations and near accurate signals. The service will cost you, but if you are a serious trader upping their game, then signals are a must. Ask about the features from your service provider. If the service comes from your broker, then consider if they are effective for you. Some are packaged into the type of accounts. List down what are the things you need to monitor. You might save money on services by getting a less costly subscription that just gives what you need. Invest on the reputable forex signal service companies. Their excellent service might be just what you need to gain an edge. At the end, what you should remember is that forex signals are just instruments that help you. They are not meant to replace you decision-making process. You alone should decide the trade you have to make. After all, you would not risk all of your money based solely on a machine. You and your strategy must still take control. Forex signals makes forex trading more manageable and more enticing to other people.